Today in Calais was tough. We were standing distributing for three hours and it was bitterly cold. But this wasn’t the hard part. The hard bit was the sheer number of people in desperate need of the most basic items to get them through their daily lives. We took out shoes, winter coats, backpacks, phones, power packs, sleeping bags and jogging bottoms – over 200 items, together with 200 gorgeous cakes as a treat. But it just wasn’t enough. After the distribution so many people still came to show us their broken shoes, threadbare trousers, inadequate coats and dirty tops. It was awful to see that they don’t get to change their clothes for weeks, that they have no protection from this harsh weather. They have done nothing wrong and no one should have to live like this. 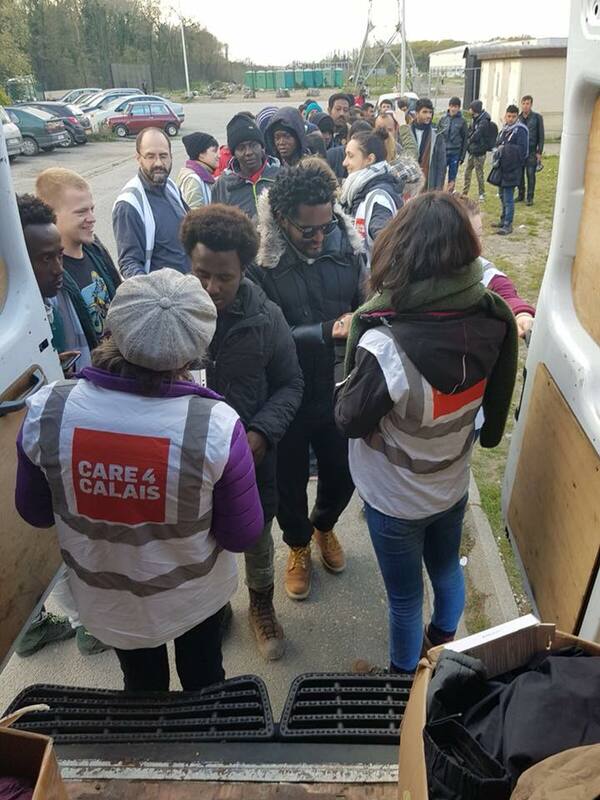 There are over 700 people in Calais. Many are under 18 years old and travelling alone. They desperately need warm winter coats and waterproof shoes. To help us help them please collect, donate or share this post.